When you or a loved one is injured and requires legal assistance, your best option for care is to consult with a personal injury lawyer. By teaming with an attorney who knows a good deal about such issues, you'll be able to receive just compensation for injuries and losses. In the case of business law matters, meeting with a business law attorney is crucial, and we are pleased to say that we are able to handle both business litigation issues as well as personal injury law matters. Right now we want to focus on the nature of breach of contract lawsuits and what those entail. More information can be provided during the consultation process. Breach of contract refers to cases in which people violate the terms of a binding agreement of some kind. The failure of one party or the other to fulfill his or her duties as stipulated in an agreement is the breach of contract. In these cases, it is important to note the original contract, any modifications to the contract, and what sorts of losses were sustained due to the failure of a party to uphold his or hr end of the contract. There are two kinds of breach of contract to consider: material breach of contract and minor breach of contract. Material breach of contract refers to the failure of a party to uphold its end of an agreement. For example, if one party promises another a dozen tuxedos in a contract and gives six suit jackets instead, that is a material breach of contract. Minor breach of contract refers to the failure of a party to deliver on promised services given certain stipulations of the agreement though the service is still provided. For example, if a dozen pizzas were meant to be ready in an hour but took 90 minutes instead, that would be a minor breach of contract. When it comes to written agreements, it's much easier for a business law attorney to consider the terms of a contract and note any breaches of said contract. The cases tend to be trickier with verbal agreements/oral contracts, which involve spoken communication for a binding agreement rather than a written contract. These kinds of cases can be more complicated, which is why having legal counsel on your side is very helpful. The statute of limitations refers to a set limit of time during which a legal claim can be filed. This is in place in order to ensure fairness in the legal system and the integrity of evidence. It is best for people to seek legal help as soon as the contract breach occurs. For more information about business litigation and how our legal team can help you in your time of legal need, be sure to contact our San Diego personal injury lawyers today. 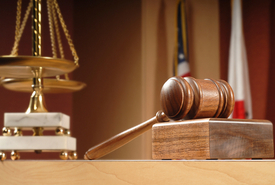 The entire legal team is here to make sure that you receive just compensation and that your side is heard in court.